It's hot. You're riding on the subway, bus or even a car with leather seats. All the sudden sweat begins tricking down your stems. More ventilation is a must. 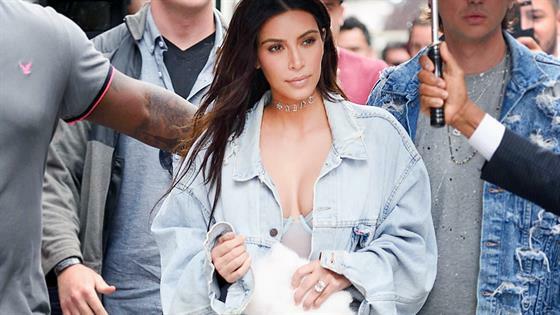 While your typical denim cutoffs and skirts will be major wardrobe players this season, you may want to rotate in a few game-changers—the unexpected shorts celebs like Gigi Hadid, Bella Hadid and Kourtney Kardashian are already wearing. Don't worry—these looks aren't too drastic from what you're already wearing. With a few design tweaks and styling tips, these shorts (which are typically relegated to the gym or couch) can take you to the beach, backyard BBQ and beyond. The trick is pairing these essentials with more structured, refined pieces. To see the summer shorts you're going to want to live in all summer, keep scrolling. Leave it to the It Girl and model to make what essentially looks like running shorts fabulous enough for a Louis Vuitton runway show. Of course, the model was wearing a Virgil Abloh creation, but she dressed up the look with a leather belt bag and red heels. A close cousin to the running short, the drawstring short is just as casual and perfect for a night on the couch. However, if you want to take the bottoms from indoors to out, simply follow in the "One Kiss" singer's footsteps and pair yours with a collared crop top. Extra points for some statement boots! There's no short more divisive than the cycling iteration. Hey, if it worked for Princess Diana, why not, right? To modernize the look, pair the bodycon bottoms with a structured oversize top, like Kourt. In the summer, it's denim cutoffs for days. However, this season's variations are seeing more of a deconstructed look, with pockets peeking out under hemlines.